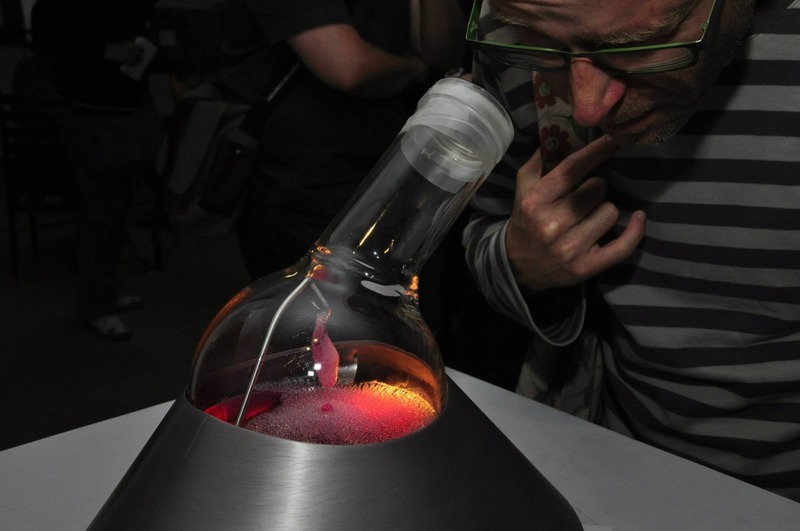 From the odd to the mundane; microbe to macro, new forms of life are emerging in labs, workshops and studios. How do artists engage with the life sciences as a means of enquiry, rather than utilitarian output? What is aliveness and what can artists tell us about the shifting perceptions of life? SymbioticA presents an overview of three recent works in the University Club for Research Week 3rd-7th November 2015. SymbioticA is a unique artistic research centre dedicated to the research, learning, critique and hands‐on engagement of the life sciences. Based at the University of Western Australia since 2000, it is the first research laboratory of its kind in the world, in that it enables artists to engage in wet biology practices in a biological science department. This vitrine is designed for the growth and display of the single-celled fungus Candida albicans (more commonly known as thrush) which is an opportunistic pathogen of humans. This vitrine housed living Candida as one of nine scientific model organisms that Tarsh Bates lived with for 3 months at the Perth Institute of Contemporary Art. The in vitero performance project contributed to Tarsh's MSc (Biological Art) completed through SymbioticA. Tarsh is now completing her PhD research at UWA examining the post-human relationships between Candida and humans. in vitero node (Candida albicans) was made possible by support from the Tea Tree Oil Research Group at The School of Pathology & Laboratory Medicine, UWA; The School of Anatomy, Physiology & Human Biology; SymbioticA; and PICA. 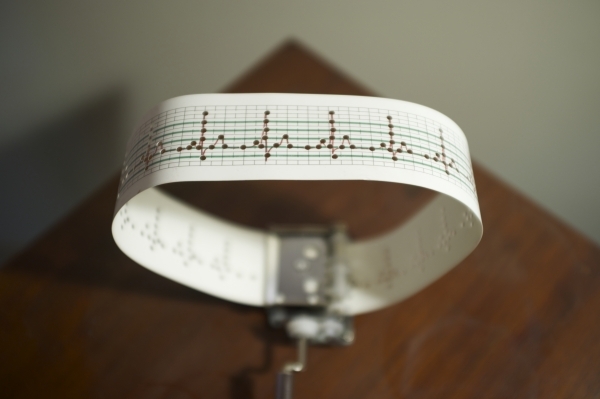 Some Must Watch While Some Must Sleep- Electrocardiogramophone (2013) by Loren Kronemeyer. While the HeLa cells are remembered as Henrietta Lacks’ cells, it is relevant to remember that these cells originated from a biopsy of the very same cancer the killed Henrietta. HeLa cells are hailed for the contribution to scientific research, while at the same time considered to b e a lab weed that contaminated many experiments. In this work HeLa cells are gown over a polymer structure shaped after Henrietta’s silhouette for one of her best known photographs -embodying her shadow. The semi-living shadow is placed in a speciality designed closed environment that is initially support the growth of the HeLa cells over the polymer. However, as the exhibition progress the cells will consume their nutrients and produce waste which will eventually transform it into a death chamber. So, in an undetermined point the semi-living shadow will be living no longer. The title of the piece is a quote from Samuel Butler’s, 1872 Erewhon in which he speculates on the risks of technological evolution and the relationships of bodies and technologies. This project has been researched and developed at SymbioticA, The Centre of Excellence in Biological Arts, School of Anatomy, Physiology and Human Biology, The University of Western Australia. Vessel designed and built by Robert Foster, F!NK + Co.